(Part three of three) While the United Nations tribunal investigating the 2005 assassination of former Lebanese Prime Minister Rafiq Hariri is expected to indict members of Hizballah, the terrorist organization has had a surprisingly deep history with the American judicial system. In fact, Hizballah's interaction with the American criminal justice system pre-dates its 1997 designation as a Foreign Terrorist Organization. "Although Hizballah's operational headquarters are currently located in Lebanon, it has established a number of terrorist "cells" in other locations in the Middle East and throughout Europe, Africa, Asia, and South America, and a significant number of the leaders of Hizballah reside outside the United States." 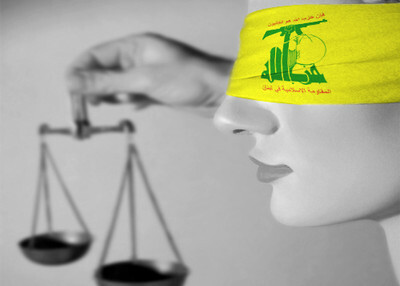 Despite the vast network of supporters it has in place, court records show that Hizballah has come to rely upon its American support structure for all manner of aid, from white collar crimes committed for terrorist financing, to the procurement of weapons and other tactical equipment. "There are two things a brother must always have for jihad: the self and money." So explained a captured al-Qaida operative. Hizballah is no different—before it carries out its murderous acts, the group must have the financial resources to do so. The United States is a prime location for Hizballah fundraising, according to a declassified threat assessment prepared by the FBI. "Wealthy donors and sympathetic Lebanese merchants are solicited for funds," the FBI report said. "Individual Hizballah members are also known to engage in criminal enterprise. The profits from these endeavors are, for the most part, for personal gain; however, an unknown percentage appears earmarked for Hizballah activities." Once the United States recognized that one front in the war on terror would be financial, the Departments of Justice and Treasury began cracking down on terrorist financing. One of the first such cases to be heard by a federal jury involved Hizballah, and a complex cigarette smuggling scheme that raised millions of dollars for the terrorist group. In the mid-1990s Mohamad Youssef Hammoud—who had entered the United States on fraudulent immigration documents—moved to Charlotte, N.C., and set up a scheme that would funnel millions of dollars to Hizballah. Hammoud and a number of relatives purchased large quantities of cigarettes in North Carolina, smuggled them to Michigan, and then sold them without paying taxes on the cigarettes in Michigan. The cigarette smuggling operation took advantage of the fact that Michigan imposed a significantly higher tax on cigarettes, and the scheme cost the state an estimated $3 million in tax revenue. During the same period, Hammoud was leading weekly prayer services for Shia Muslims at his home in Charlotte. At the services, Hammoud reportedly urged attendees to donate money to Hizballah, raising at least $3,500 for the terrorist organization. In July 2000, Hammoud and 17 co-conspirators were charged with money laundering, trafficking in contraband cigarettes, immigration violations, and bribery. Evidence at the trial revealed links between Hammoud and senior members of Hizballah, including Hassan Nasrallah, Sheikh Fadlallah, and Sheikh Abbas Harake. Prosecutors played excerpts from videotapes seized from Hammoud's home, including speeches by Hizballah leaders praising men who had martyred themselves and crowds shouting "Death to America," and "Death to Israel." Jurors convicted Hammoud and his accomplices of 14 counts, including providing material support to a designated Foreign Terorist Organization. During sentencing, Hammoud admitted to the cigarette smuggling and related frauds, but argued that he was not a terrorist and had not been raising funds for Hizballah. Rejecting pleas for leniency, Hammoud was sentenced in 2004 to 155 years in prison. While the massive cigarette smuggling scheme was the first major case of Americans attempting to surreptitiously funnel money to Hizballah, it would not be the last. Since breaking up Hammoud's ring, the Justice Department has charged dozens of individuals with transferring millions of dollars—often the proceeds of criminal activity—to Hizballah. "Within the United States, Hizballah associates and sympathizers have engaged in a wide range of criminal activities to include money laundering, credit card fraud, immigration fraud, food stamp fraud, bank fraud and narcotics trafficking," FBI official John G. Kavanagh told a House subcommittee on Sept. 28, 2006. In 2002, Mohammad Shabib was rounded up along with 36 other defendants as part of an international investigation into drug smuggling. Prosecutors would later charge that Shabib, a gas station owner, shipped nearly 3 tons of pseudoephedrine from Canada to California, sold it to Mexican drug cartels, and funneled the profits to Hizballah. The case ended with a plea bargain and sentencing filed under seal. Most recently, authorities uncovered a plot to purchase stolen merchandise, including Sony PlayStation 2 systems, laptop computers, and cellular telephones worth hundreds of thousands of dollars, and funnel the proceeds of their re-sale to Hizballah. According to an indictment, charging Sadek Koumaiha seven others, the group also purchased thousands of dollars worth of counterfeit goods. The case has yet to go to trial. While those examples show the extent to which Hizballah's American support network has gone to move money to the terrorist group, some Americans have actively procured weapons and other tactical equipment. "Hizballah leaders in Lebanon have shown interest in acquiring night vision and laser sighting equipment from the United States," the FBI's 1994 threat assessment said. The FBI said it did not know why Hizballah wanted the equipment, but "it is logical to assume that this equipment may be utilized in the group's military actions against the Israeli armed forces." The first material support prosecution in U.S. history involved Hizballah and stemmed from an encounter between Fawzi Assi and customs agents on July 13, 1998, when Assi was preparing to board an international flight departing from Detroit Metropolitan Airport. Acting upon wiretaps which suggested that Assi was planning to transport tactical equipment to Hizballah in Lebanon, customs agents approached him at the airport and asked to see his passport. An ensuing search of Assi's luggage revealed two Boeing global positioning satellite modules, night vision goggles, and a thermal imaging camera. He was charged with attempting to provide material support to Hizballah. After being released on bond, Assi fled to Lebanon where he remained a fugitive until surrendering to U.S. authorities in May 2004. He pled guilty and was sentenced to three years in prison. The 1998 indictment of Assi for attempting to provide tactical equipment to Hizballah was the first in a long string of busts carried out by U.S. law enforcement officials against Hizballah's American arms dealers. In September 2001, Ali Boumelhem of Dearborn, Mich., was convicted of attempting to smuggle two shotguns, 750 bullets, and assault weapon parts to Hizballah. He was sentenced to 44 months in prison. More recently, federal officials uncovered a Hizballah support cell in Philadelphia. Two federal indictments (here and here) charged almost two dozen men in November 2009 with providing weapons, communications equipment, and money to Hizballah. The investigation reportedly began in 2007 when an undercover FBI agent began transferring stolen cell phones and other electronic devices to Hasan Mahmoud Koumaiha and seven of his co-conspirators. From Feb. 1, 2007 to Nov. 1, 2008, the FBI provided the suspects with close to 30,000 stolen cell phones, PlayStation 2 game systems, and laptop computers—all destined for Lebanon, Hong Kong, and the United Arab Emirates. Over time, as the men came to trust the undercover agent, they attempted to acquire weapons for transfer to Lebanon. In March 2009, Dani Nemr Tarraf requested that the undercover agent procure guided missiles for the purposes of "shooting down airplanes or helicopters." The suspects also sought night vision goggles, thermal imagining devises, military compasses, and military radios. Speaking after the announcement of the arrest, federal prosecutor Michael L. Levy explained, "these cases show the breadth of the criminal activity engaged in by those who oppose us." To read the first two installments of our series on Hizballah's support in America, click here for part one and here for part two.